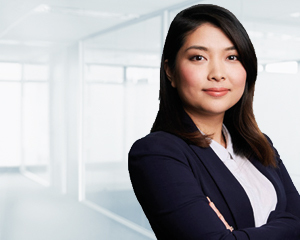 As a wealth adviser in the Canberra team, Kyara Nakagawa acts as a “middle point” between the Investment Committee and clients, tailoring the committee’s recommendations to meet clients’ individual goals, needs and risk profile. Kyara provides investment advice to clients, monitors their portfolios and advises them on adjustments to investments to help them meet their financial objectives. She enjoys the interaction with her clients and assisting them to gain a better understanding of their investments. Kyara also sees being available to answer their questions and discuss any concerns they may have about their investments as important to her role. “I help clients understand the risks of their investments and the benefits of having a diversified portfolio that suits their individual risk profile,” Kyara said. According to Kyara, Dixon Advisory clients benefit from the experience and expertise of the Investment Committee. “The Investment Committee has helped clients achieve strong results over the years and clients can learn from the committee’s investment approach and expertise,” she said. Joining Dixon Advisory in 2011, Kyara previously worked as an investment analyst, assisting clients with their personal portfolios as well as researching new investment opportunities and monitoring clients’ investments. Kyara has a Bachelor of Asia and Pacific Studies from Australian National University and a Graduate Diploma in Financial Planning from Kaplan.